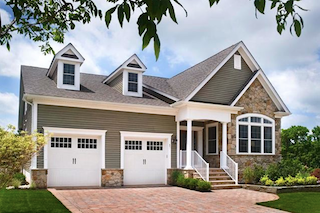 Tapestry at Montgomery offers luxurious ranch homes and an elegant clubhouse in Somerset County, NJ. Nestled in Central New Jersey, Somerset County is one of the country’s oldest counties and a beautiful retirement destination for active adults who enjoy life on the East Coast. There are many attractions throughout the area, including historic sites, restaurants and retail centers plus it is centrally located about an hour from New York City and a short drive from the Jersey Shore. Dating back to the 1680s, Somerset County is rich in American history. For most of its early history, the county was largely an agricultural area, although it also played an important manufacturing role in both World War I and World War II. During the late 19th century, Somerset County became a popular country retreat for wealthy industrialists, and it now includes many upscale suburban communities. Somerset County is set in Central New Jersey, within commuting distance of New York City. The climate features four distinct seasons, including flowering springs and colorful fall days. Summers can be hot and humid, with average highs in the mid-80s, while winters are often cold and snowy. When the weather is nice, area residents can enjoy Somerset County’s many parks and nature preserves. These county spaces offer many opportunities for outdoor recreations such as hiking, mountain biking, boating and birdwatching. A few of the more well-known parks include Lord Stirling Park, Sourland Mountain Preserve and the new Raritan River Greenway. Somerset also features public and private golf courses, including Donald Trump’s Trump National Golf Club. 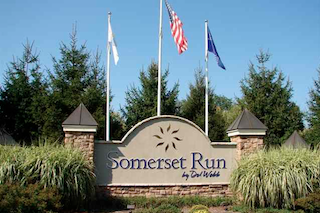 Somerset Run is a popular active adult community by Del Webb in Somerset County, NJ. Area attractions appeal to active adults, as well as their visiting family and friends. Over a dozen museums cover many special interests, such as the Fleetwood Museum of Art and Photographica, the Printmaking Center of New Jersey, the US Golf Association Museum, the Old Dutch Parsonage and the Somerville Fire Museum. Sports fans can cheer on the Somerset Patriots minor league baseball team or watch Tour of Somerville, the nation’s oldest cycling race. Active adult communities in Somerset County welcome older homebuyers with impressive amenities and stately homes. Well-established communities like Somerset Run or Renaissance at Raritan Valley offer a wide range of homes and resort-style amenities. Those who prefer a choice of resale or new construction options can also consider amenity-rich communities like Canal Walk, Sterling Pointe or Tapestry at Montgomery. With its convenient Central New Jersey location, Somerset County is a prime location for active adult retirees. The area provides easy access to New York City and the Jersey Shore, while also offering residents a beautiful suburban setting with four distinct seasons.